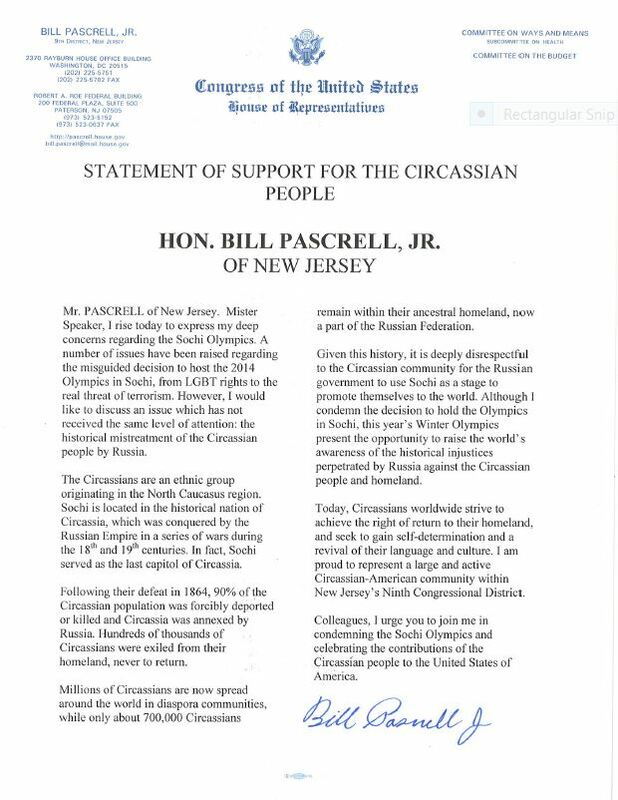 New Jersey Congressman Bill Pascrell (D- 9th District) submitted this “Statement of Support for the Circassian People” to the United States Congress on January 29, 2014. This statement in the Congressional Record was made possible by our letter campaign and petitions submitted by supporters of Circassians worldwide. Last 7 years, Circassians and their friends have delivered the true story about Sochi to the World. We have prepared a media kit to summarize our points, our reasons, and demands about Sochi. We have also put the media coverage about our movement together. Please download and use it to spread our message. Support us to reveal the truth about Sochi! kNOw Sochi have reached the goal! We are in the final step of Know Sochi campaign. The campaign has started 20 November and reached its goal of $5000 with your support. We have completed production of kits in the first week of January and we have delivered the information kits to the athletes over their National Olympic Committees. At this stage reaching to the athletes and journalists that we have sent the Know Sochi kits over social media and asking for support is among the things we must do. We need your support spread the message and progress of the campaign and remind the athletes Know Sochi. We can also spread our information booklets over social media and via email.